​At Women of Denver, we provide you with tools to navigate your way to more money, time for the things you love, and the inspiration to make a difference. We host over 40 educational workshops, summits, and networking events each year to help our members achieve their goals for personal growth and business success. With a platform reaching about 45,000 women, we also provide affordable advertising opportunities for woman-owned small businesses through our Power Women membership. ​connect with your power crew,​ and get known for the powerful woman you are! Whether you work for a company or own your own, we provide powerful workshops and summits to teach you tools for increasing your income and earning your worth. In our community, you can connect directly with driven leaders in your area who are making big money moves and striving to make an impact. Are you swimming in accomplishments no one knows about? We promote our member's wins in our newsletter and social media. Send us your updates and we'll promote them. 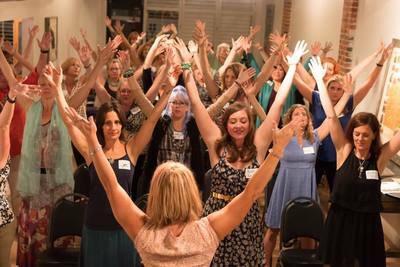 "Women of Denver is a network of women uplifting each other. It's rare to have so many powerful women learning from and supporting each other in a safe environment." 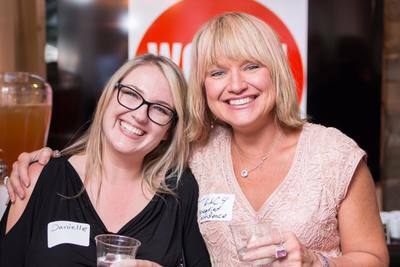 "Women of Denver is authentic and geared toward really helping its members. Krystal is dedicated to helping people succeed and has a kind, compassionate heart." Access to our educational workshops, and summit events at no additional cost. Access to our digital network for on-demand learning. Must be actively enrolled in university or other training programs or work for a 501(c)3 organization. Access to our educational workshops, and summit events at no additional cost. Access to our digital network for on-demand learning. 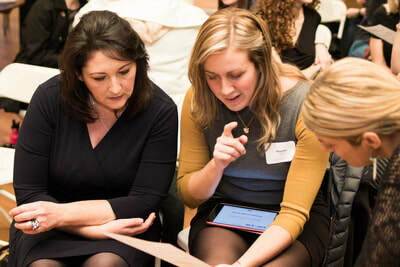 Use Women of Denver as a branding and thought-leadership platform to reach your target audience. Opportunities include magazine promotion, website business listings, video and photography, ghost-written articles and more. Fearlessly join Women of Denver knowing that we offer a full refund within 45 days of joining. 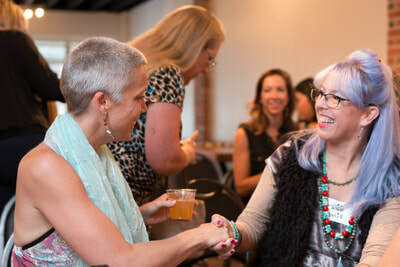 If you don't feel Women of Denver is your ideal tribe, find that you have trouble making our event times or locations, or simply have a second thoughts you can email us at hello@thewomenofdenver.com and we'll issue a full refund of your membership dues -- no questions asked. *Please note, our Power Women of Denver membership is not refundable after your feature has been printed in the magazine or if you've taken part in a video/photoshoot session. "One of Denver's largest networking communities." "Krystal Covington helps build confidence at Women of Denver"
​What types of women are members of WOD? 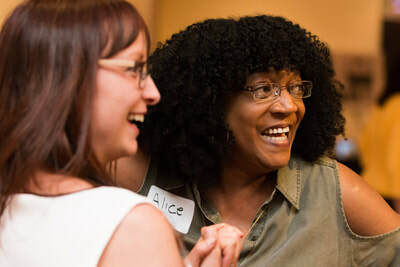 Women of Denver members have one thing in common; they want to connect and engage with other women to truly uplift each other. Our members are usually high-achieving entrepreneurs, or mid-career to executive leaders in a corporate role. Members join for several reasons including the desire to grow their own enterprises, learn valuable career skills, and build their brand. 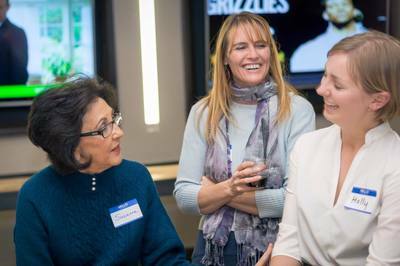 Most of our members are between 30-53, but you'll find our community is uniquely diverse and attracts women from the entire spectrum of ages and career backgrounds. Do members have to be located in Denver? No, we have members from all over Colorado and even in other states, but our events are held in the Denver area. Is there a trial membership where I can get to know your members before I join? We don't have a trial membership, but you're welcome to buy a ticket to our events and join us as a guest any time. We also offer a 45 day money back guarantee, so there's no risk in trying us out for a month to see if you enjoy the events. We're pretty confident you'll get lots of value right away. Group memberships are available at a discounted rate. Contact Krystal Covington at krystal@thewomenofdenver.com for more information. I’m so busy - can someone short on time still benefit from membership? Absolutely! Our members lead busy lives filled with commitments, and a Women of Denver membership is a great way to carve out time to efficiently invest in yourself. A few purposeful hours spent in personal development is an important investment in your success. We provide a number of meetings to fit your schedule, but do not expect our members to attend every event. Where are your events hosted? All of our live events are hosted in Denver, with the exception of our online meetings. We have several event locations across the city, so you can find us in lots of Denver neighborhoods. Our primary location is in the RiNo neighborhood. How does your membership pricing compare to other groups? While many similar organizations charge $300-$800 and up for just one monthly event and few other benefits, we're only $240 for an annual membership and offer 40+ annual events, and several excellent member benefits. I honestly can't afford the membership right now, but really want to be part of this community. Do you have a scholarship? We offer a scholarship program for those who have challenges with paying our membership dues. You can apply here. Scholarships are reviewed no more than once per quarter and a total of 15 may be offered during a calendar year. Where did the stats above come from? The National Association of Women Business Owners, via the American Express OPEN "State of Women Owned Businesses 2017"
Not ready to become a member? Join our email list to keep up with events and pay us a visit.